You read this first here. Please like our Durian Runtuh Facebook page and Follow Harga Runtuh Twitter to receive more freebie deals and latest discount promos! Looking for some teatime treats? 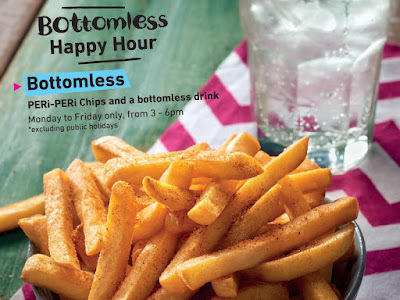 Bottomless PERi-PERi chips & a bottomless soft drink for RM9.90! Valid at all Nando's Malaysia restaurants. Get FREE weekly update of popular deals and tips delivered to your email. FREE! Sign up now to get Malaysia freebies samples, Grab Malaysia promo code & Lazada Malaysia voucher code delivered to your email weekly.